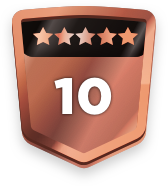 I have to give them 5 stars, just for the sheer determination in making sure the job was completed.. Despite Justin’s van breaking down, he still turned up on time, with his tools. Upon investigation, the parts he had brought along were not the rights one, so he quickly located a supplier hoping to find the relevant spare part. Again not much luck, but using his initiative , he replaced the lock/ cylinder and secured the front door for my tenant. Fantastic value for money, and definitely would call again. 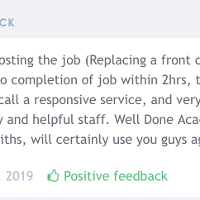 They were professional and completed the job to my satisfaction. Couldn't be happier . A guy called Everton came out and he was really friendly and did a really good job . I was happy with the price i paid for two hours work. 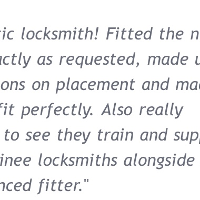 I would completely recommend this company and would use them again if I ever need a locksmith. Justin kept me informed about when he was coming and got the door open for me. 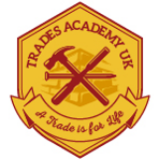 Excellent service, prompt and detailed in explaining the work that had to happen. 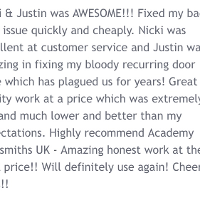 ACADEMY LOCKSMITHS UK were amazing and have done a terrific job. 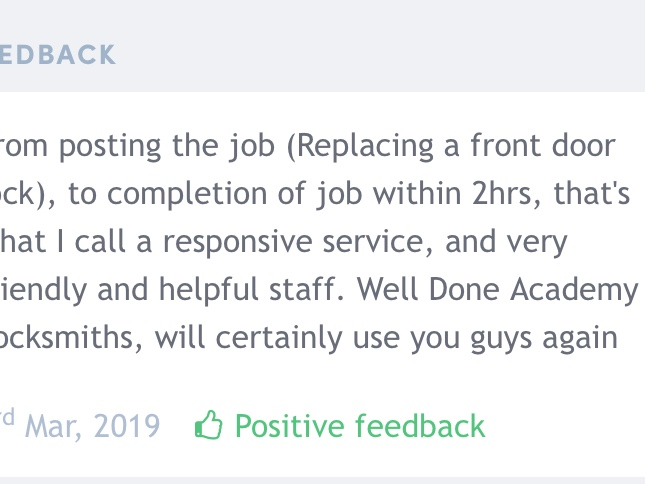 I would highly recommend them, as they were able to accommodate me when i changed the time for their arrival and they did the job within 15 mins. I would definitely use these guys again!